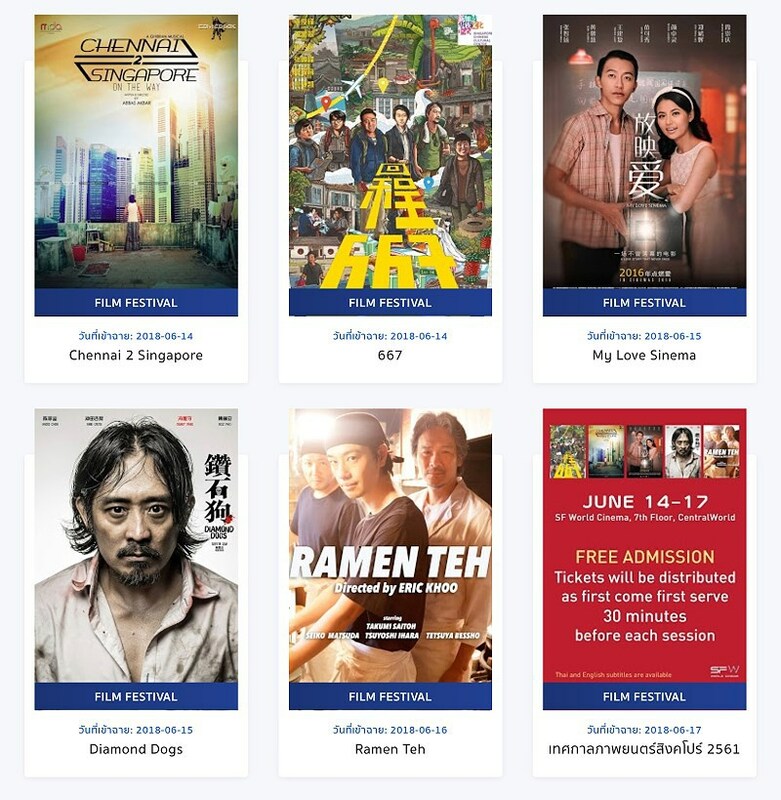 The Embassy of the Republic of Singapore in Thailand and SF World Cinema will hold the “Singapore Film Festival 2018” for the fifth consecutive year to promote the relationship between Thailand and Singapore. This year, five movies have been selected. They will be show daily from 14th to 17th June 2018 at SF World Cinema at CentralWorld in Bangkok. Tickets are free. They will be issued on a first come first served basis thirty minutes before each screening. All movies have English/Thai subtitles. Scroll down for screening times.